Firearms, safety equipment, electronics, and evidence security are critical in the day-to- day jobs of law enforcement. Keeping these items safe and in the hands of only authorized personnel is of the utmost importance as well. Managing assets has never been more important, or as high tech, as electronic asset lockers are being used for increased security and better accountability. The Bureau of Alcohol, Tobacco, Firearms and Explosives reported that 5 out of 6 firearms stolen in one area in Washington DC last year, were taken from a police cruiser or the personal vehicle of an officer. Because firearms come in a variety of sizes, lockers have been designed in corresponding sizes and are designed so only those with proper training are able to access them. Checking firearms in and out of an electronic asset locker keeps an audit trail, including reports and/or alerts, when an expected item hasn’t been returned or is being accessed outside of an expected timeline. 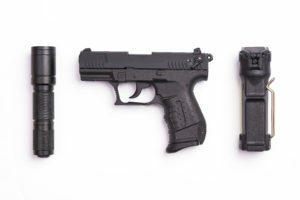 Safety equipment, such as Kevlar vests, mace, tasers, and more; each have their own unique needs for storage and access. Compromising the care of bulletproof gear can mean the difference between life and death. Storage locker equipped with air and temperature controls, keep equipment dry and in the proper conditions for effective use. Pin codes, badges, or biometrics can be used for limited access to safety equipment by unauthorized users, and a back-up battery allows access when needed most. Laptops, cellphones, two-way radios, body-worn cameras, and other electronic devices, when lost, are expensive to replace. Additionally, they may contain sensitive information which is dangerous if in the wrong hands. 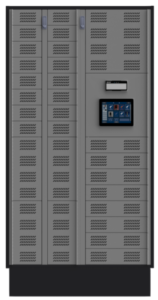 Lockers with power portals keep electronics charged and ready for use, while surveillance options offer even more security. Storing evidence can also require a chain of command and specialized compartmentalization such as refrigeration, air flow, fire safety, anti-magnetism, and more. Be sure to properly handle evidence so it can be effectively used in a criminal case. Store it in the correct type of environment, easily catalogue it for quick retrieval, and limit access through electronic storage lockers. Electronic asset lockers can be used to increase security, build accountability, reduce loss, and better protect law enforcement. To learn more about AssetTracer or other security options, visit www.DeBourgh.com.